My humble contribution to M Project. Blue is the sky and orange is the ribbon against leukemia. 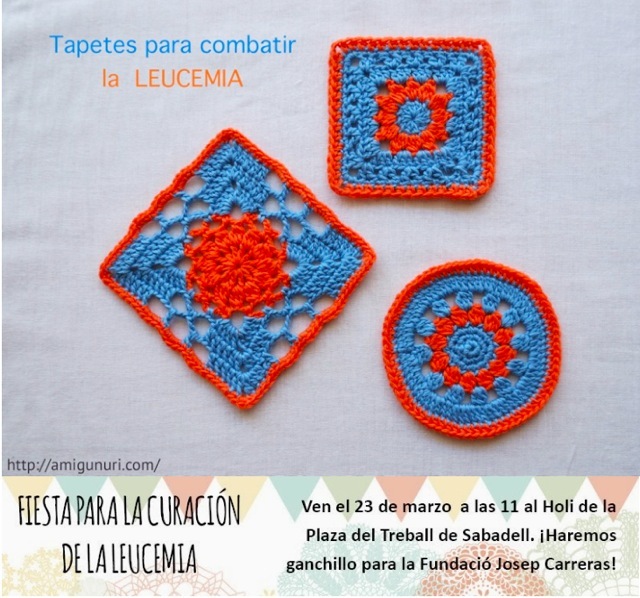 I have crochetted three doilies to form part of a mural to remind Mònika. I did not know her, but it will be my personal remember to a friend who died of leukemia. Take part! Laia from Llanàrium collects them in Barcelona. It is one of my favorite woolen shops. Y gracias a ti por la iniciativa. Seguro que saldrá un mural bien bonito.